A group of elderly-care nurses working at the Swedish Svartedalens elderly home participated in the first controlled trial of shorter work hours the country held for a decade now. In February, they switched from an eight-hours to a six-hour working day for the same wage, in an effort to improve productivity and quality of life. Just as reducing the work day from 12-11 hours to 8 allowed the workers much needed rest and personal time once, Sweden experiments with reducing the day to 6 hours work, to improve productivity and quality of life. Despite the fact that an extra 14 members of staff were hired to cope with the shorter hours and new shift patterns, the Svartedalens experiment’s results are so promising that others, all over Sweden, are joining in. At Gothenburg’s Sahlgrenska University hospital, orthopaedic surgery has moved to a six-hour work day, as have the staff of two hospital departments in Umeå. Even small businesses tried the model and report that a shorter day increases productivity and reduce staff turnover. Ann-Charlotte Dahlbom Larsson, head of elderly care at the home, says staff wellbeing is better and the standard of care is even higher. Pettersson, one of 82 nurses at Svartedalens, agrees. She looks after the elderly of the home there, some of whom have dementia, and her work demands constant vigilance and creativity. This can get very tiring, very fast, and the six-hour workday allows her to maintain a higher standard of care throughout her shift. “You cannot allow elderly people to become stressed, otherwise it turns into a bad day for everyone,” she says. After a century in which working hours were gradually reduced, holidays increased and retirement reached earlier, there has been an increase in hours worked for the first time in history, says Roland Paulsen, a researcher in business administration at the University of Lund. People are working harder and longer, he says – but this is not necessarily for the best. At Toyota service centres in Gothenburg, working hours have been shorter for more than a decade. Employees moved to a six-hour day 13 years ago and have never looked back. Customers were unhappy with long waiting times, while staff were stressed and making mistakes, according to Martin Banck, the managing director, whose idea it was to cut the time worked by his mechanics. From a 7am to 4pm working day the service centre switched to two six-hour shifts with full pay, one starting at 6am and the other at noon, with fewer and shorter breaks. There are 36 mechanics on the scheme. “Staff feel better, there is low turnover and it is easier to recruit new people,” Banck says. “Profits have risen by 25%,” he adds. Martin Geborg, 27, a mechanic, started at Toyota eight years ago and has stayed there because of the six-hour day. “My friends are envious,” he says. He enjoys the fact that there is no traffic on the roads when he is heading to and from work. Sandra Andersson, 25, has been with the company since 2008. For Maria Bråth, owner of internet startup Brath, the six-hour working day the company introduced when it was formed three years ago gives it a competitive advantage because it attracts better staff and keeps them. “They are the most valuable thing we have,” she says. An offer of more pay elsewhere would not make up for the shorter hours they have at Brath. The company, which has 22 staff in offices in Stockholm and Örnsköldsvik, produces as much, if not more, than its competitors do in eight-hour days, she says. For Linus Feldt, owner of Stockholm app developer Filimundus, the six-hour working day schedule his business began a year ago is about motivation and focus, rather than staff simply cramming in the same amount of work they used to do in eight hours. 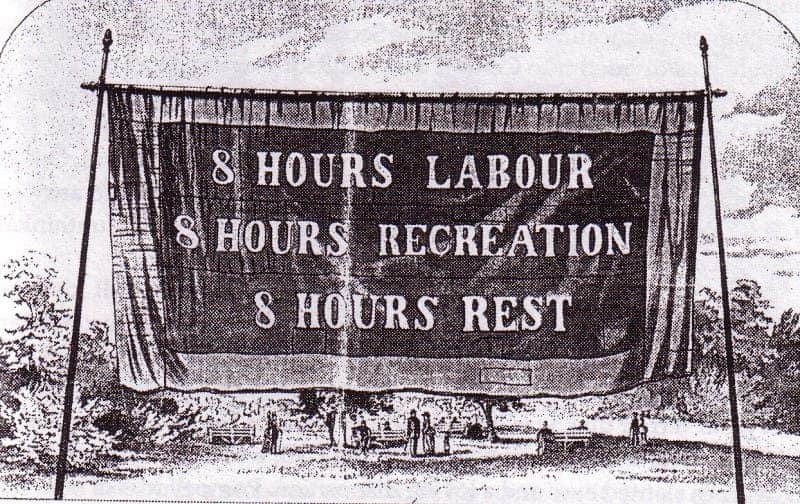 Throughout the 1990s the country toyed with several experiments of the six-hour day for a full wage. In Kiruna, a mining town in the far north, home care for the elderly moved to a six-hour day in 1989 so to better correlate the working lives of female carers with those of their husbands in the mines. Stockholm city council conducted a major trial of a six-hour day in care centres for children, older people and those with disabilities from 1996 to 1998. But when power passed from left to right in Kiruna in 2005, the reform was reversed and staff went back to eight hours. Similarly, with a change of administration in Stockholm the trial came to an end. Measuring the cost of such schemes is complicated, Olsson says – it is hard to distinguish whether savings on sick leave, for example, are down to shorter working hours or other factors. Moreover, with more people in work, unemployment benefit payments are cut, but the savings accrue to the state, not the municipality that bears the cost of hiring more staff. Svartedalens is attempting to avoid shortcomings by keeping the changes tightly focused and monitored. Only assistant nurses are involved, and the city’s human resources management system is generating high-quality data, according to Bengt Lorentzon, a consultant on the scheme. Another care home is being used as a “control”, so Svartedalens can be compared with a workplace that has stuck to an eight-hour day. “It is very important to get evidence,” Lorentzon says. “All the previous experiments were focused on the nurses’ health and sick leave, not the quality of service.” It is too early to put figures on the results, but nurses at Svartedalens have more energy, are less stressed and have more time for the residents, who themselves are more comfortable and relaxed, Lorentzon says. Despite the positive signs, the experiment is likely to end next year – the centre-left coalition on Gothenburg council has lost its majority, and the Conservatives and Liberals are firmly opposed to reduced working hours. The trial is costing about 8m Swedish krona (£630,000) a year, according to the Liberal party. “It’s like living in a world where it is raining money from the sky,” according to one Conservative councillor. Daniel Bernmar, leader of the Left party group on Gothenburg city council, which pushed for the trial at Svartedalens, admits a six-hour day costs more money, but insists it is a matter of quality of life for public sector workers and for residents in elderly care.